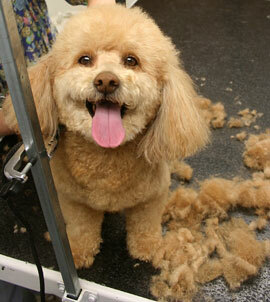 Clipping and grooming a very old dog can be a painful, emotional experience taking several hours. At Haytor Kennels our old arthritic Airedale has a completely different time. Laura can groom her over several days during Pickles holiday there. Pickles doesn’t get tired standing a long time and bit by bit becomes a beautifully clipped and sweet smelling companion again. She is treated with respect and affection and loves to go back each time. We wholeheartedly recommend Laura.